Our Wilson Staff Duo Spin Golf Ball Set features soft multilayer construction and allows adding brand logo for Brand Recognition. 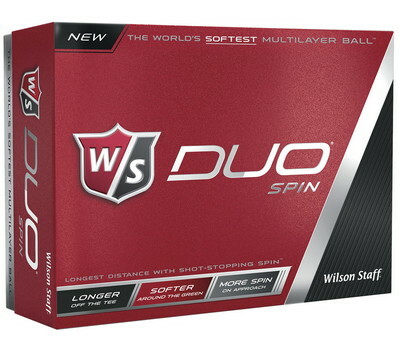 Wilson Duo Spin Golf Ball is by far the softest multilayer ball. The low 35 compression duo spin features softest feel that you have come to expect in the Duo. It also comes with greater greenside spin and control. The Wilson Duo Spin with its exceptional spin qualities helps the player have more control and action on the green. Take to the green with this Duo Spin and watch your confidence grow with every play! Imprint your company logo and marketing message on the ball for an eye-catching promotion and watch your brand go the distance in style!